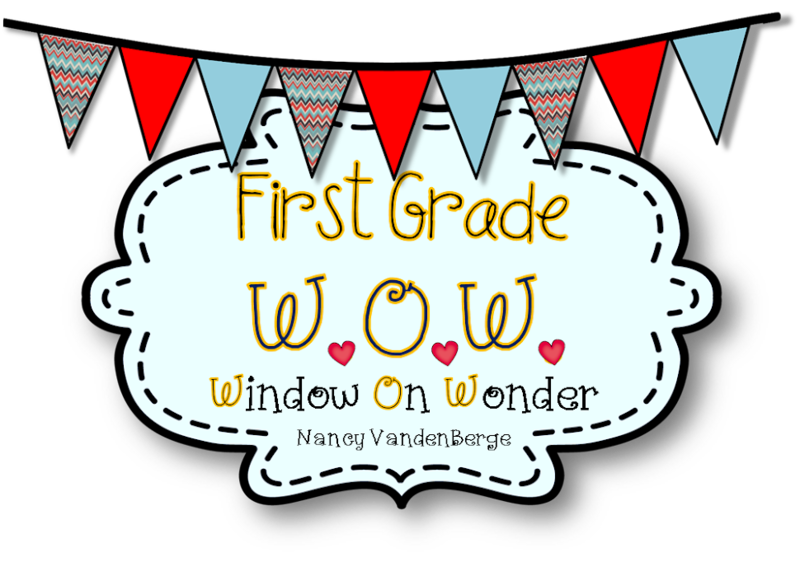 First Grade Wow: What's the Big Idea??? Thanks for stopping by to take a peek! My favorite thing from today? Learning about "The Big Idea!" 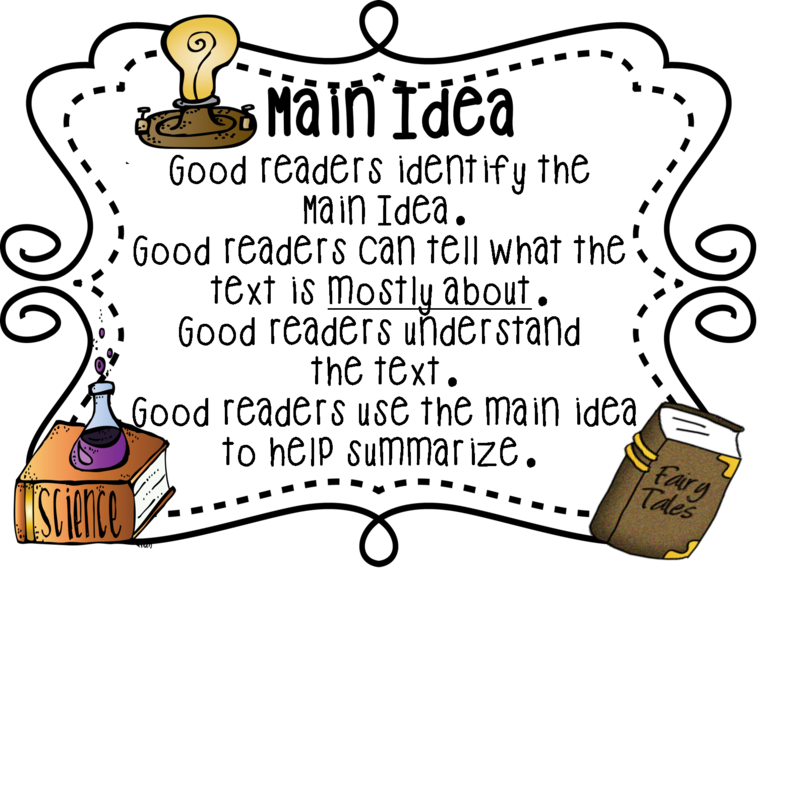 We have been talking a lot about the main idea of things we have read. Today I changed my verbiage a bit and introduced "What's the Big Idea?" We learned that finding the main idea is like telling about the "big idea" of the story. 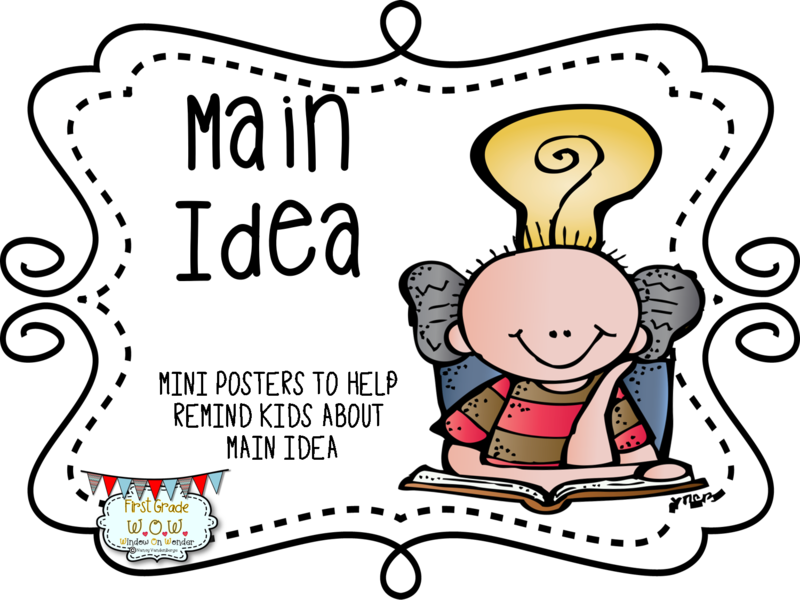 I created another anchor chart to help my kiddos and remind them what it was all about. We practiced finding the big idea together. 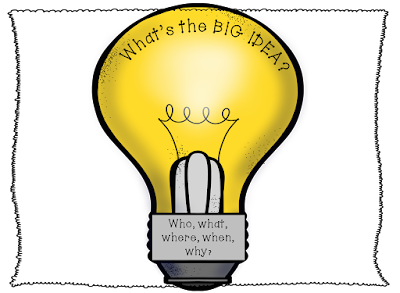 I read the book "Fred and Ted Go Camping" by Eastman (a great fit for our camping unit) and each kiddo had to write down what he/she thought the big idea was. We talked about answering who. what, where, why, how, etc. Most of them got it!! Then they had to get one of the books from their bookbaskets, read and find the Big Idea in them. We added these to our Reader's Response Journals. I can't wait to do this again!! 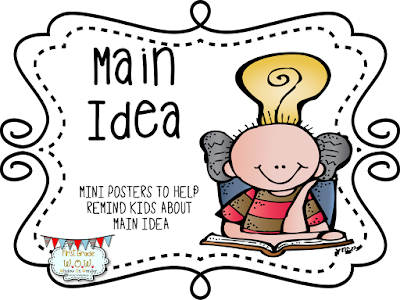 Want a mini unit on Main idea? Have the best tomorrow ever! OMGosh! Nancy, I LOVE it!!! Seriously, I have started a list of all of the cute things I am going to do from your blog. Once I do I am going to give you a BIG OL' shout out from my blog. I am so excited to share so others can come see how awesome your blog is!!!! Do you happen to have a template for any of this? I am so not gifted in creating crafts....although I love doing them! My son is finishing up Kindergarden and his teacher just showed me 'story mapping'. Have you heard of this because it increased his writing by A LOT! Great blog post. Love the idea. love this and will use it this week!